Now more than ever, being unique in the highly competitive market is of the high essence. Besides offering great products and services, to be ahead in the industry, a brand needs to have a compelling message and the perfect avenue for conveying that message. 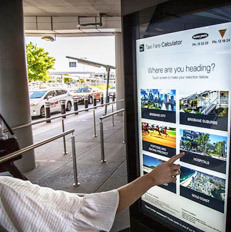 ME Universal Team and its partners has developed a wayfinding approach that has been successfully applied to a wide range of sectors from residential communities, hotels, shopping malls and hospitals. 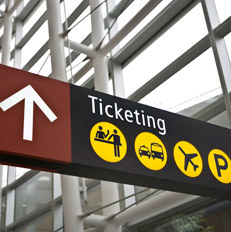 These types of sites are fast-paced, diverse and complex and all benefit from strong wayfinding principles. Whether it is a new development or an existing site, a significant element to all users positively engaging with the building and environment is how the branding and wayfinding is applied and tailored to enhance the experience of their visit. ME Universal have the latest state-of-the-art machines and equipment and work with specially trained experts, and we combine our equipment and expertise to develop innovative and robust plans that revolutionize our clients’ marketing efforts and ensure our clients stay at the forefront of the industry. ME Universal hands-on installation and maintenance team and customer care personnel are customer friendly and are on 24-hour standby to ensure your brand is always live. We start our process by spending quality time with the client discussing the brand’s goals and evaluating different options for better results. We stay with our clients all through the process and after saving you time and giving you maximum ROI. We work on a broad range of projects and in diverse industries including the banking, oil and gas, manufacturing, telecommunications, insurance, education, finance, hospitality, digital marketing industries among others. We attend to all levels of business, and we provide the best. For More Information kindly fill the form below and our Team will Contact you.